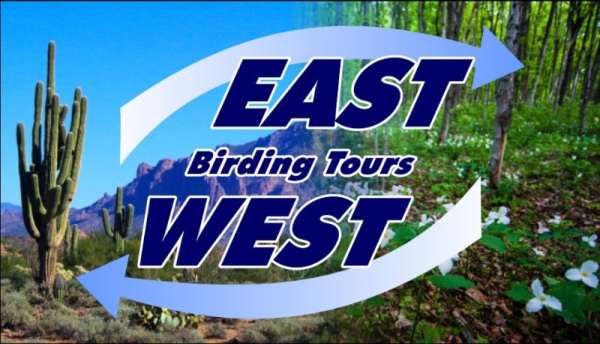 East West Birding Tours is owned and operated by Ken Blankenship, who is permanently based in beautiful Cochise County, Arizona. His local expertise is the Huachuca Mountains: Ramsey Canyon, Miller Canyon, Carr Canyon, Hunter Canyon, Huachuca Canyon, Garden/Sawmill Canyons, Ida/Oversite Canyons, Scotia/Sunnyside Canyons, etc. 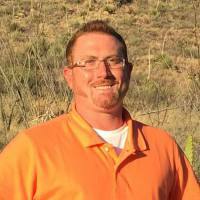 Ken also regularly guides individuals and small groups throughout Southeast Arizona: Las Cienegas NCA, Santa Rita Mountains (Madera Canyon, Florida Canyon, east flank, etc. ), Patagonia Lake SP & Sonoita Creek corridor, Harshaw Rd & the San Rafael Grasslands, Patagonia Mountains (Humboldt Canyon), Mt. Lemmon (Santa Catalina Mountains), Pena Blanca Lake & Canyon, and by special arrangement to the more distant California Gulch (Ruby Road) or Chiricahua Mountains (near the New Mexico border). 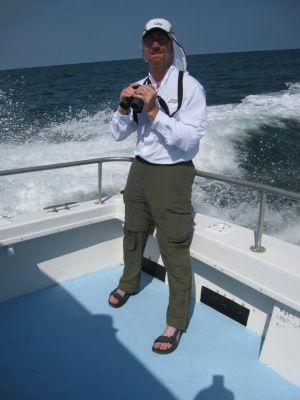 He can meet your every birding need, whether it be searching for specific target species, maximizing Life Birds for first-timers, exploring excellent under-birded "off the beaten path" locations, or designing customized individual or small group itineraries. East West Birding Tours also offers several customizable small-group tours per year: Lower Rio Grande Valley, TX; Upper Texas Coast Spring Migration; and "Grand Tour de Georgia." Like us on Facebook to stay up-to-date on East West Birding Tours News! 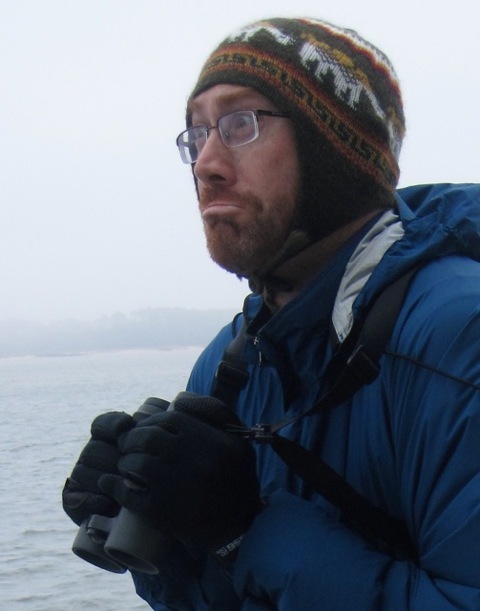 Ken has been birding across the southern tier of the United States for well over a decade, from New Mexico to SoCal, south Texas around the Gulf of Mexico to the Florida Keys. Like many North American birders, for years Ken has been fascinated by the unique birds and habitats of Southeastern Arizona. 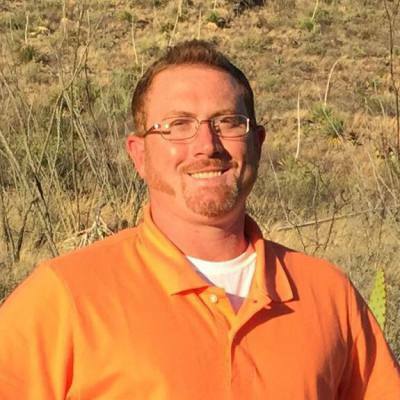 In 2015, he decided to pursue a dream of living full-time among the “Sky Island” mountains of Cochise, Santa Cruz, and Pima counties. Ken has spent countless hours in the field in all seasons, learning the ebb and flow of our special migrants, breeding birds, and wintering species of the deserts, grasslands, high elevation canyons, riparian corridors, and montane conifer forests. 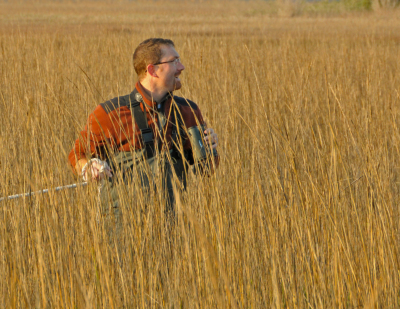 Ken’s other greatest area of expertise is the status and distribution of the birds of the Southeast – particularly Georgia, his native state – where he works for the Department of Natural Resources in early summer performing various types of breeding bird surveys and habitat monitoring. Ken is also fascinated by historical and current avian research, and has published a combined total of 30+ General Notes, Articles, and Significant Sightings Compilations in several ornithological journals concerning the avifauna of Georgia, South Carolina, and North Carolina. You can view a list of his ornithological publications, fieldwork samples, and much more at his LinkedIn account . Ken is a self-admitted "ear-birding addict," and has obsessively studied bird vocalizations for many years, both in the field and using CDs and online recordings; this includes anything from songs, to chips, to flight calls, to scolds, and every "seet " and "tsip" in between. You can listen to his own amateur audio recordings at his xeno-canto account (using headphones is best). Ken can meet your every birding need for your private Southeast Arizona Adventure and other tours, whether it be searching for specific target species, maximizing Life Birds for first-timers, exploring excellent under-birded "off the beaten path" locations, or designing custom small group tours in Arizona, Texas, or the Southeastern US. In addition to Daily Guided Birding Services in Southeast Arizona, East West Birding Tours offers several windows across the calendar year when custom ("made-to-order") small group tour packages can be designed during primetime birding in several destinations: Lower Rio Grande Valley, Texas (late fall/winter); Upper Texas Coast (early spring); Southern Appalachian Mountains (late spring); and the Southern Atlantic Coast (fall). These are perfect for 6-10 "birding buddies" for cost-sharing and group dynamics, and are also great for organized long-distance trips for state or local bird clubs and ornithological societies (up to 12 participants). Previously, for 14 years Ken Blankenship was a teacher at one of the highest-performing public schools in the state of Georgia (Hightower Trail Middle School in Cobb County), primarily teaching French, but also Spanish and Reading. Between 2002-2011, Ken organized four 10-day trips to Europe with students and parents, providing plenty of experience with large group travel planning: logistics, transportation, lodging, time management, etc. For 10 years, Ken also sponsored an extracurricular outdoors and nature club for all grade levels at his school. His natural, fun teaching style in the field is great whether he is working with fledgling birders or knowledgeable adult listers. He is equally comfortable guiding and teaching SE Arizona first-timers (even first-timers to the West) as he is "target birding" with experienced birders who are trying to add a few more key species to their Life Lists or Year List.